You can find this pattern for free on my blog, or you can purchase an ad-free printable PDF version (including a text only version). 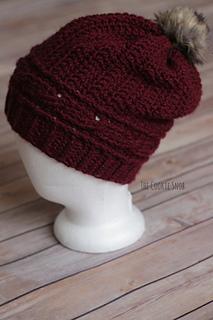 This pattern will show you how to make a crocheted Cabled Crown Beanie. 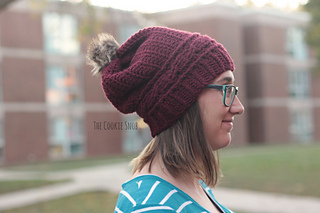 The pattern uses less than 1 skein of worsted weight yarn (I used I Love This Yarn! in Aubergine) and a size I (5.5mm) crochet hook. You’ll also need a tapestry needle. 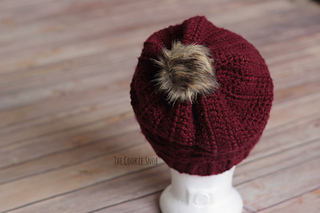 As written (following the gauge), the hat is 10” tall and 20.5” in circumference, but you can easily adjust the size to make the hat either slouchier or tighter fitting. 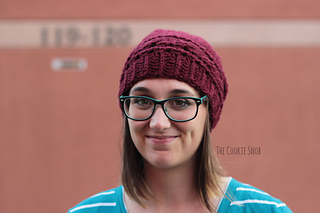 The hat is worked sideways and then seamed at the end. 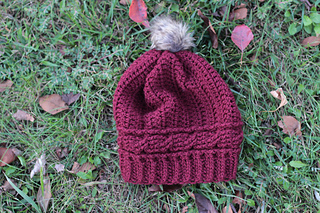 The brim is worked in the same piece as the body. You’re welcome to do whatever you’d like to with finished products made from this pattern but if you do sell them, I ask that you link back to my page. You may not copy this pattern, repost it anywhere (either altered or in its original form), or claim it as your own. You may not use any photos on this site for your own use.